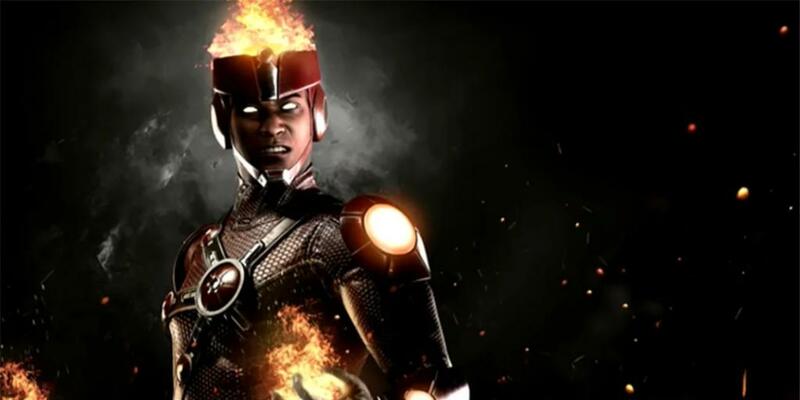 Injustice 2 Adds Firestorm to Roster | Nerd Much? Well, the lucky guys over at UpUpDownDown were lucky enough not only to visit NetherRealm Studios, but also to announce a brand new character to Injustice 2. The tour begins innocent enough, with major fan Xavier Woods fawning over the Mortal Kombat art pieces displayed around the studio. My personal favorite are the “baby shoes,” the chrome cartridge versions of Mortal Kombat 2 including SNES, Sega Genesis, Sega Game Gear, and Game Boy. The YouTube team also got to meet Ed Boon himself, the head of the studio. Apparently, his favorite character is Scorpion, because he was one of the first developed for the series. Boon quickly reveals the Firestorm exclusive, and Woods looks like three Christmases came at once. If you’re a huge fan like Woods, I highly suggest taking a look at the whole video. There are plenty of very cool models and posters to nerd much over. However, if you want to get right to the meat of it, the actual Firestorm gameplay appears at time stamp 5:33 (you’re welcome, internet). The new character has long range quick attacks and charged moves as well. Firestorm also has a move that sends him flying across the battle around to face his opponents back and get the drop on him. His special ability is probably the most exciting, as it comes in three stages. They start off as blue flames, and when fully charged, the flames cover his body and increase his attack damage. In addition, his last attack is fairly sweet as well, if less violent than most of the other characters in the game so far. Do you think Firestorm looks like a promising character? Let us know in the comments below!